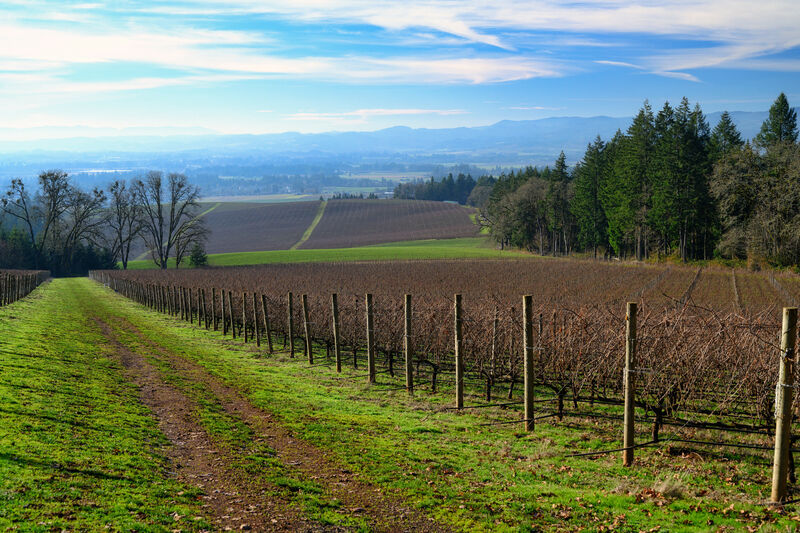 Admit it: Wine country isn’t just about the wine. It’s about the unfolding views, the earthy-sweet aromas, the ethereal blankets of fog, and the impression that you are a part of the landscape, rooted as firmly in the soil as the vines themselves. And just as the Willamette Valley’s wine has evolved from pinot purism to a more adventurous array of varietals, tasting rooms have begun to depart from their traditional faux-Mediterranean urges, riffing instead on Oregon’s farmhouse vernacular and that verdant, rolling landscape. Across the valley, vintners are channeling their perspectives through solar panels, modern art, pitched roofs, Japanese gardens, and salvaged timber—it’s a whole new way to drink with your eyes. 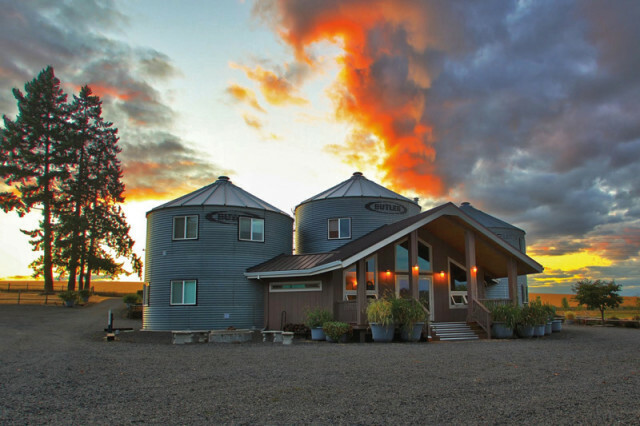 It doesn’t get more bucolic than a B&B housed inside of converted grain silos. Such is the case at Abbey Road Farm, where five cozy suites nestle into an 82-acre working farm in the hills of Yamhill County (right). For a bit more space to stretch, balance yourself at Le Puy Inn in Newberg, where the eight rooms were designed with feng shui principles in mind. With a smoked salmon crêpe or a Dutch baby with seasonal fruit for breakfast, you’ll have plenty of reason to rise and shine. Or ritz it up at the Allison Inn & Spa, where 85 luxurious guest rooms and suites, plus a 15,000-square-foot spa and a fine-dining destination lend our valley some Napa-style panache. Begin with a wide-eyed ramble through Sokol Blosser’s new tasting room, designed by local phenom Allied Works, where a series of terraces leads to what architect Brad Cloepfil calls a “crazy labyrinth” of angled, cedar-clad interior spaces. Just up the road is Winderlea’s light-filled, glass-and-steel tasting room overlooking its sustainably farmed vineyard. Toward Carlton, Saffron Fields Vineyard debuted last year with a wood-and-glass structure filled with modern art and surrounded by a serene garden of reflective ponds and winding paths designed by Hoichi Kurisu, former director of the Portland Japanese Garden (above). 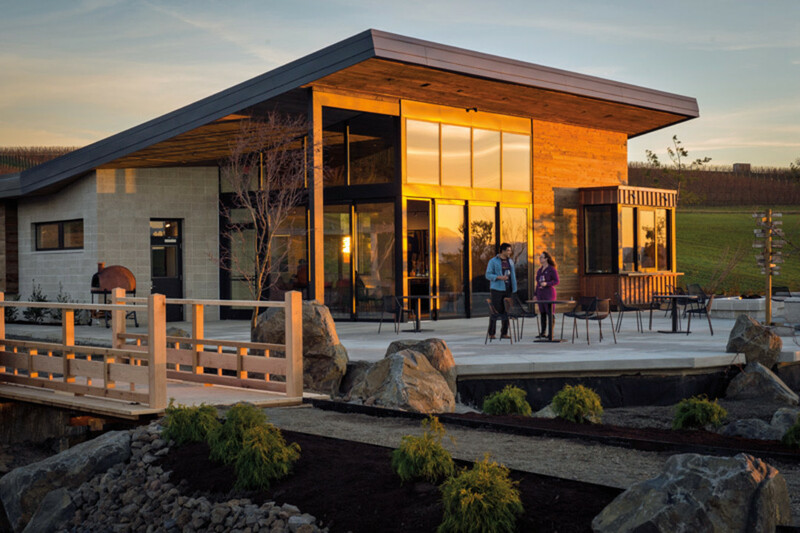 On your way back to Portland, swing by Ponzi Winery’s Sherwood tasting room, where an elegant low-slung roof, a capacious deck above the vineyards, and two bocce ball courts invite you to stay awhile. Where the modernist experiment of Paulée fizzled in Dundee, the casual haven of Babica Hen Café has hatched, serving family-friendly breakfasts of farm-fresh eggs and fluffy waffles. 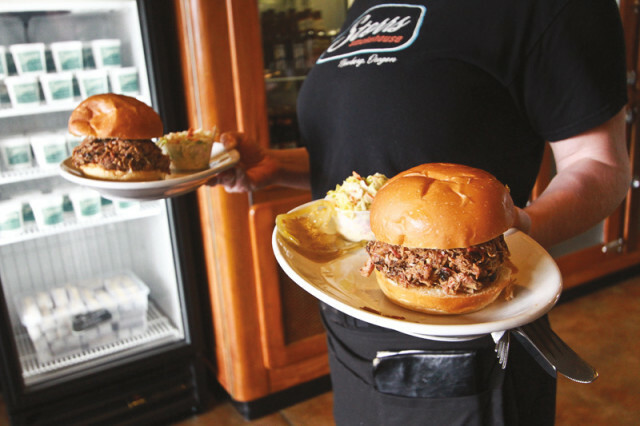 You’ll find a perfect pre-tasting lunch at Storrs Smokehouse, where the pair behind Newberg’s long-running Painted Lady dole out piles of 18-hour brisket, 12-hour pulled pork, St. Louis–style ribs, and all the trappings of a classic BBQ feast on cute cafeteria trays (right). For comforting dinner fare and a well-crafted cocktail menu, return to Newberg’s main drag, where the new Ruddick/Wood exudes an upscale roadhouse vibe in a renovated 1920s garage. Tucked amid the rolling hills and farmhouses behind Lafayette, Our Lady of Guadalupe Trappist Abbey is not only a monastic retreat for those who seek it, but also a lovely spot to find a bit of solace on one of the four trails that wind through the 1,300-acre property. Indulge in some cinematic Americana at Newberg’s historic 99W Drive-In—just pull up your car, bust out the blankets, and tune your radio. Around hour three into your northeasterly sojourn to Walla Walla, you’ll inevitably begin to wonder how anything, let alone grapes, could possibly bust through this cracked, desolate land’s dry expanse of earth. Just wait. Soon, the landscape changes, revealing a lush pocket of rolling green hills, cool streams, and some 1,600 acres of vineyards. 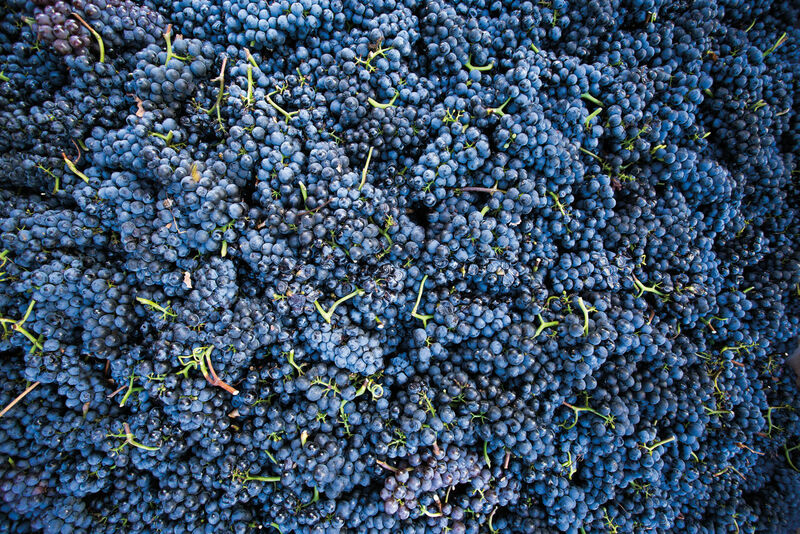 Indeed, with more than 100 wineries and tasting rooms, this fertile oasis in southeastern Washington (the city’s name means “the land of many waters”) has become a pilgrimage site for Northwest wine lovers seeking full-bodied, warm-climate varietals like Syrah and tempranillo that are less common in the Willamette Valley. Visit now, as the scorching heat of summer tapers off and autumn settles in. 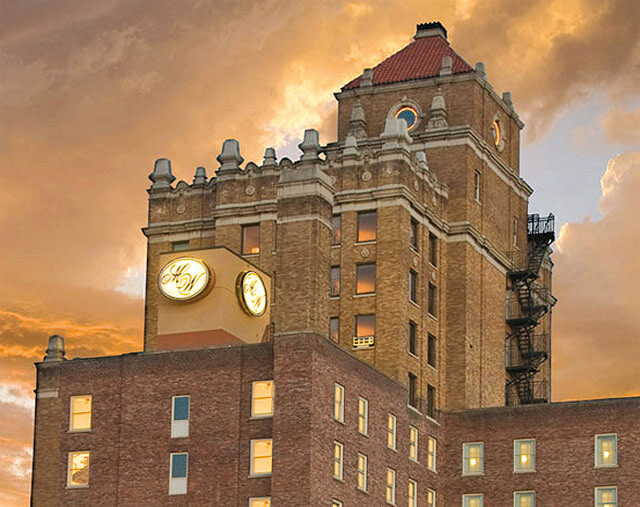 Opened in 1928, the red-brick Marcus Whitman Hotel provides a luxurious central crash pad for visiting downtown’s tasting rooms: there are six in the hotel’s ground-floor retail spaces alone, with a dozen more just blocks away. (The 127-room hotel, at left) is also the tallest building for miles, so if you’re ever lost, just scan the horizon.) Go a little more rustic with a camper at Chillville Walla Walla, a 3.5-acre “glampsite” near the airport dotted with chic, vintage Airstream trailers hunkered in the shade of mature maple and oak trees. For full immersion, book your own cottage at the Inn at Abeja, a century-old farmstead and winery in the foothills of the Blue Mountains, with 35 acres of vineyard and gardens for your wandering pleasure. Waste not a moment! Pull into Woodward Canyon Winery’s homey tasting room along the highway into town, which at 33 years old is one of Walla Walla’s oldest wineries. Next, head to the year-old Palencia Wine Company, one of the region’s most promising newcomers. Owned by the son of a vineyard field hand, Palencia is housed in the Walla Walla Incubator site, a convenient cluster of tasting rooms that provides low rent, shared expertise, and equipment to upstart wineries (and one brewery). End your day at El Corazon, downtown’s hippest (and loudest) tasting room—a proper ode to wine’s freewheeling side. Fuel up with a gigantic omelet, fresh-squeezed OJ, and a Walla Walla twist on the michelada (“Rainier Redbeer”) at the Maple Counter Café. Beware: it’s a hot spot for locals, so be ready to wait for a table. If you’re still hungry by lunchtime (you might not be), dig in to the deeply charred beef brisket and coleslaw at A Wing & a Prayer. Regroup over dinner and a cocktail at Whitehouse-Crawford. Locals will insist this is the city’s fanciest restaurant, but it’s the most unpretentious fare that shines, like the burger with an inch-thick slice of impossibly red tomato and a basket of the region’s other great agricultural export: sweet onions, lightly floured and fried to crispy perfection. Learn about Walla Walla’s history as one of the Northwest’s oldest (and during the gold rush, largest) cities at the Fort Walla Walla Museum. Play a round at the Wine Valley Golf Club, ranked fifth on Golf Magazine’s list of best new courses in 2009. Book a blissful sunset ride with Blue Mountain Balloons, which nets high fliers a stunning 360-degree panorama of endless golden fields, framed by the towering Blue Mountains. 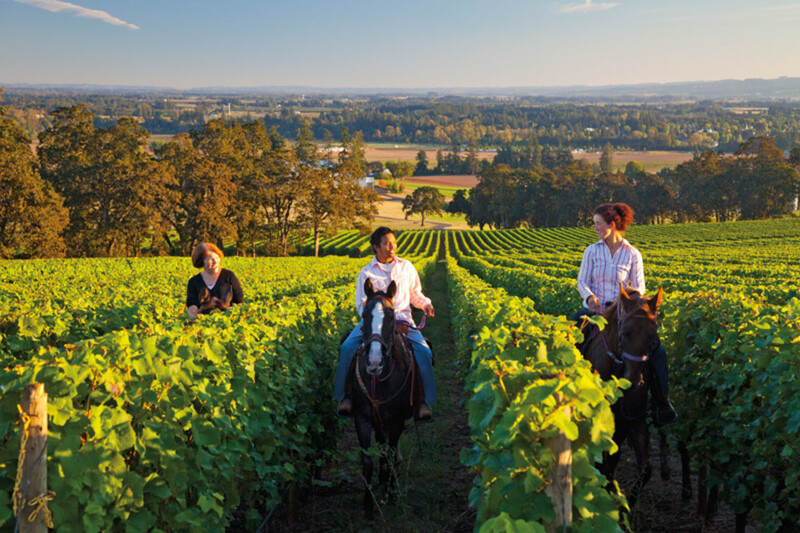 Shortening days, a flurry of activity in the vines, and an industry at the height of its grape-fueled action make fall a prime season for wandering the Willamette Valley. If the change of season is inspiring you to talk less and do more, you’ll find escapes aplenty in the small towns and hidden parks in our backyard to the south. Sip on the fruits of the harvest, or enjoy the rewards of a thriving beer and spirits scene. 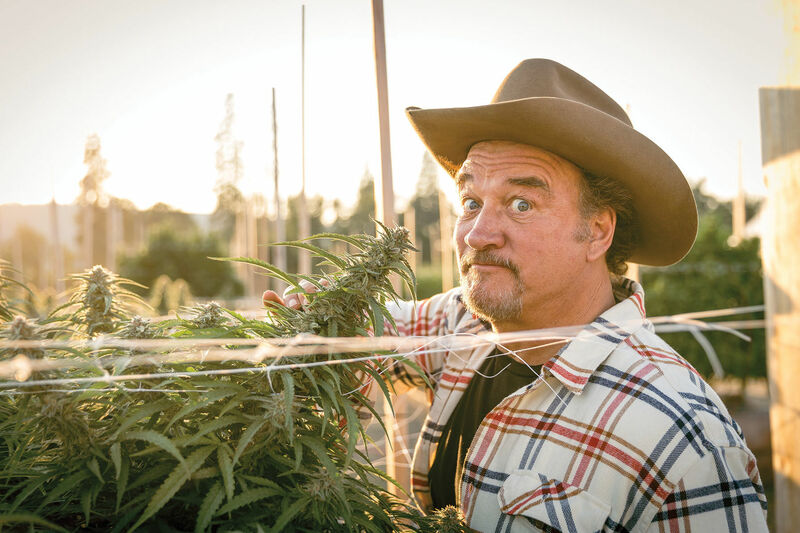 Roll down the windows as you drive through Dundee, and you’ll even smell the rich tang of the grape crush wafting through the air. Still your adventurous heart by camping in style in one of six restored 1950s-era travel trailers at The Vintages in Dayton. Original midcentury-modern light fixtures, charming Formica floors, and nostalgic touches almost make you overlook the modern amenities: gourmet coffee, plush linens and robes, a premium stereo system, two cruiser bikes, and a grill. 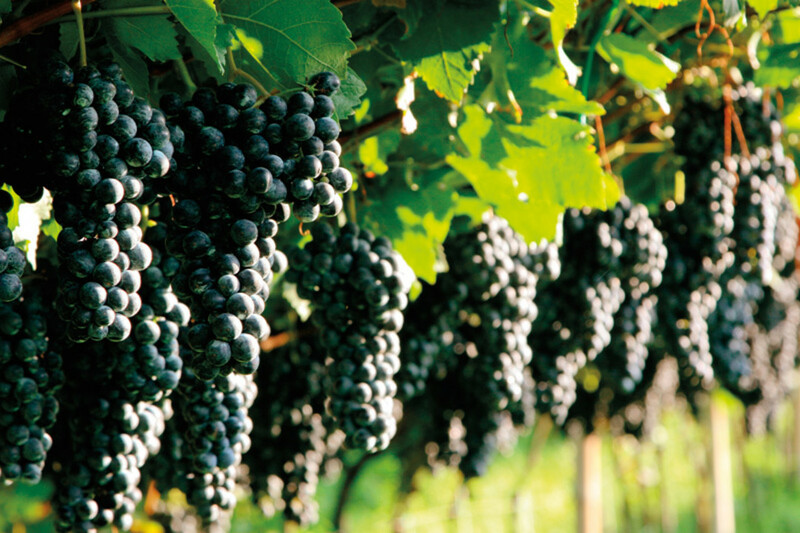 Craving a taste of small-town wine-country living? Hole up in the recently expanded, eclectically stylish 3rd Street Flats, perched above the restaurants, boutiques, and wineries of downtown McMinnville. Tired of pinot? 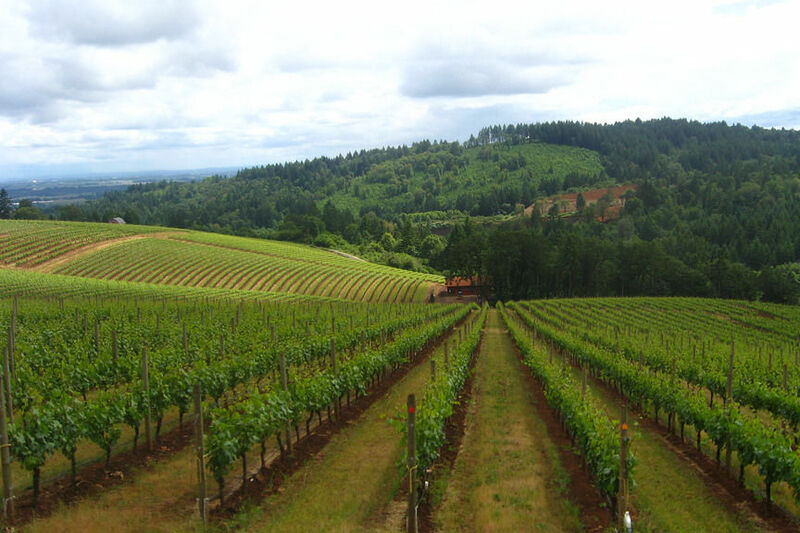 Oregon wine country’s other cups runneth over. If beer’s your thing, try a rotating selection of 16 craft options at the Bitter Monk Beer Garden in McMinnville, or a spiced Belgian Wit IPA from newcomer Deception Brewery in Dundee. Get buzzed with a perfect pour-over of Ethiopia Yergacheffe from McMinnville’s Chrysalis Coffeehouse. (Warning: it might ruin you for all others.) Or, go for the gold and taste the world’s largest selection of mead in one location (150 types and growing) at Kookoolan World Meadery in Yamhill. Lobster mac and cheese, mushroom soup, and barrel-braised chicken are worth the gas miles alone at Joel Palmer House chef Chris Czarnecki’s new project The Barlow Room in Dayton. Stop by for expansive breakfasts and a true Pennsylvania scrapple at Henry’s Diner, a new food cart that’s already become an institution on Carlton’s town square. Absorb the ambience with an afternoon bite on the porch at McMinnville’s Bistro Maison, still the most hospitable spot in wine country. Finish off the evening with a meal of pristine seasonal produce and meat butchered on-site at nearby Thistle and end with a fancy cocktail featuring locally made Imbue vermouth. Winter’s coming, so best get busy. Challenge your companion to get close at Red Hills Market’s backyard bocce court. Huck a disc at one of two local courses: Wortman Park in McMinnville or behind Stoller Vineyard’s impressive new tasting room. Cruise McMinnville’s historic Third Street, where you can grab a Mount Hood–shaped truffle at Tamami Chocolates, pop in for picnic fare at Harvest Fresh Grocery & Deli, and enjoy a salumi flight at Italian specialty food store Peirano & Daughters. 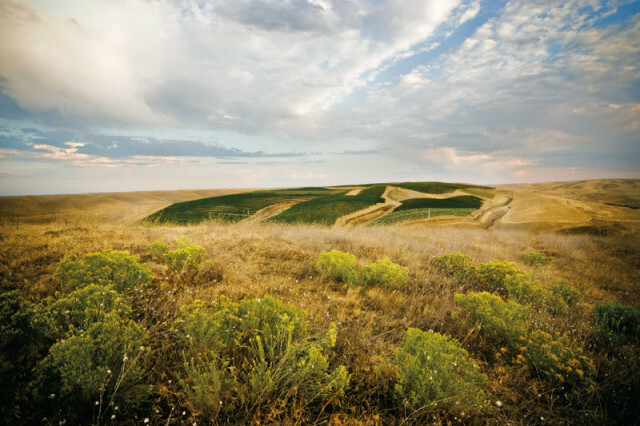 Get lost and found wandering Miller Woods, a 130-acre nature reserve of prairie and forest, or explore the vines of Dundee’s Red Hills from the saddle with Carlton’s Equestrian Wine Tours. Tucked between the Cascades and the Siskiyou Mountains, the state’s youngest wine-growing region bustles with unpretentious enthusiasm. It’s a place where memorable wine flows in a ramshackle garage and where vintners revel in diverse microclimates, experimenting with cool-climate pinots on one hill, heavy-hitting reds on another, and rarer varietals like viognier and baco noir wherever they’ll grow. 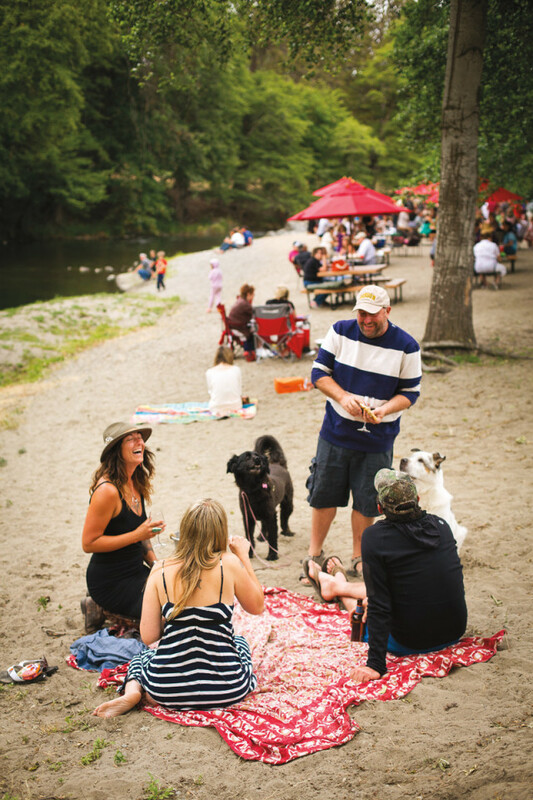 Set your anchor in Ashland’s Bear Creek Valley, home to the Oregon Shakespeare Festival and a critical mass of farm-to-table restaurants—but be sure to make time for the neighboring Applegate Valley AVA, where the hillsides are ablaze with color this time of year. Ashland’s retro-chic, eco-friendly Palm cottages feature a lush, award-winning garden surrounding a saltwater pool, plus free iPads loaded up with Netflix. This summer, the plush, modern Lithia Springs Resort added an outdoor pool and several suites to its verdant spa oasis on the north end of town. For something a little more intimate, opt for the Country Willows Bed and Breakfast, perched on a renovated horse farm in the hills above Ashland with a sweeping view of the Bear Creek Valley, boasting easy access to hiking trails, a barn-turned-suites with skylit jetted tubs, and, of course, a family of geese. Start out at Weisinger’s Family Winery,which produces merlots, tempranillos, rosés, and blends with incredibly clean, clear flavors under the guidance of second-generation winemaker Eric Weisinger, who recently took over after several years working in New Zealand and Australia.Dana Campbell Vineyards serves one of the area’s best viogniers—not to mention bocce ball with a view. In the Applegate Valley, stop in the gold rush town of Jacksonville at Quady North’s brick tasting room, where grape wunderkind Herb Quady specializes in cabernet franc, Syrah, and viognier, before heading for Cowhorn Vineyards, where Bill and Barbara Steele’s biodynamic Rhône-style wines have won raves from Wine Spectator’s Matt Kramer. Next, take a moment to bask in the gorgeous valley vista at Woolridge Creek Winerybefore winding down with a sunset-lit, wood-fired pizza at DanCin Vineyards. You’ll need a handful of napkins to sop up the flavorful juices from house-cured and smoked meats at Sammich, decorated chef Chandra Corwin’s Chicago-inspired sandwich shop. Across town at Caldera Brewery’s brand-new, super-roomy brewpub, the burgers are gussied up with truffle oil, and an extensive beer list packs two full pages on the menu. For dinner, meat lovers can’t go wrong at two-time Oregon Iron Chef winner Neil Clooney’s nose-to-tail temple, Smithfield’s. 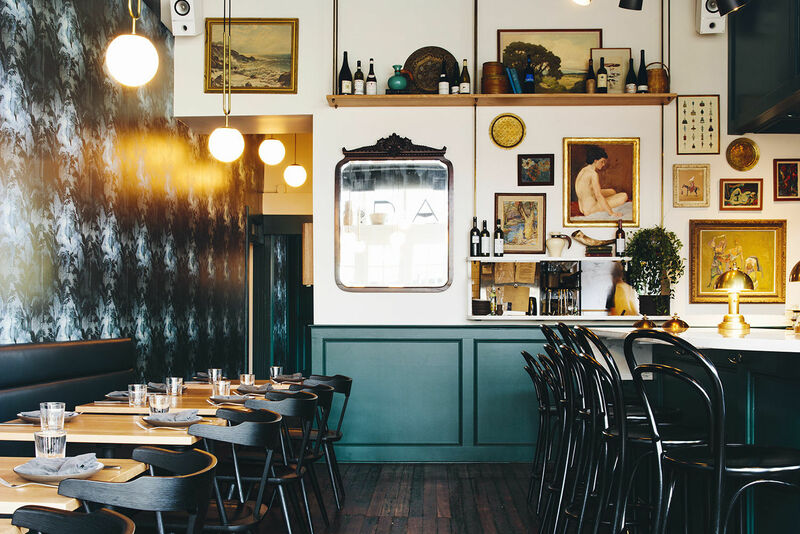 For something a little fancier, explore Ashland’s gallery-filled Railroad District before tucking in to the elegant dining room at Coquina for fresh, creative fare like sweet-pea tendrils with pear vinaigrette and candied guanciale. Required for all Ashland visitors: the Oregon Shakespeare Festival, renowned not only for its staging of the Bard but also as one of the country’s leading commissioners of new plays. This fall, do your best to snag a seat for Robert Schenkkan’sThe Great Society, a deeply powerful and witty telling of LBJ’s second term. Throughout the week, select wineries keep the doors open late for live music, from Agate Ridge’s Rocking at the Ridge series to raucous summer shows on the riverside beach atRed Lily Vineyards. And if you can, carve out some time for a stroll through Jacksonville’s Historic District—it’s like walking through a Wild West movie set. Want more great wine coverage? 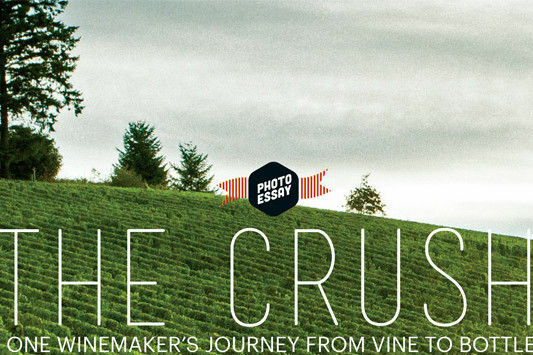 Check out our list of the 50 Best Oregon wines of 2014, and dive behind the scenes of wine harvest in the Willamette Valley with our immersive photo essay.